Added on 14 March 2019 . By Anisah Audu. So you've tasted the deliciousness that is Xi'an Impression's hand-pulled Biang Biang noodles and you need another fix? Well, there's good news because you'll be able you get your hands on the staple dish in the West End as chef and co-owner Guirong Wei has just opened her very own restaurant in the heart of Bloomsbury. Taking over the space that was once home to Cagney's, Master Wei is bringing authentic Chinese eats to central London. 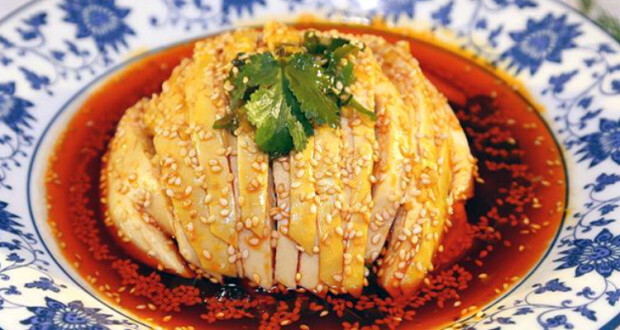 Wei's first solo venture, Master Wei specialises in traditional dishes usually found in the northwestern Chinese Shaanxi province. The menu is split into hot and cold starters, Xi'an street food, soups and noodles. Think hand-shredded chicken in spicy sauce, pot sticker dumplings and, of course, the signature noodles available in chicken, beef and veggie varieties.